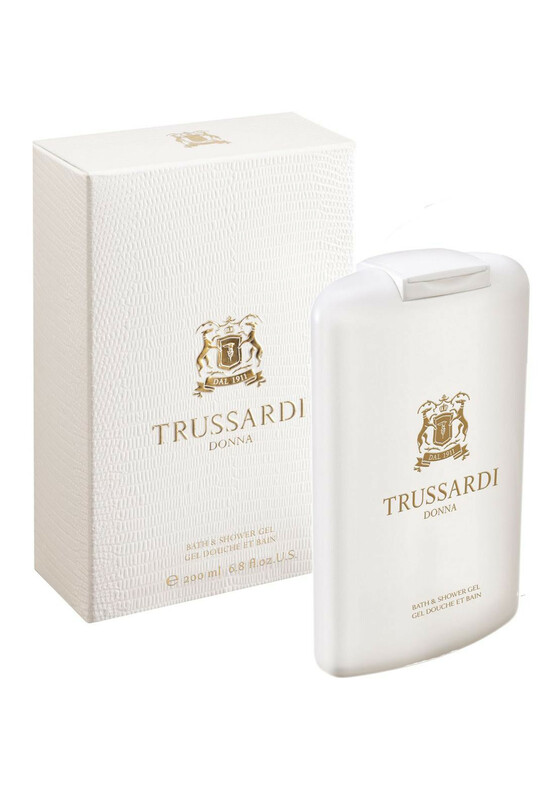 Trussardi Donna bath and shower gel is a crystal clear fluid gel that is ideal for gentle daily cleansing. Thanks to its balanced formula, which is rich in gentle surfactants and special conditioning substances, it forms a soft, creamy lather. The result for you is a velvety skin with the wonderful scent of Trussardi Donna.